For some time I’ve always connected my MacBook to an external monitor when at my desk. 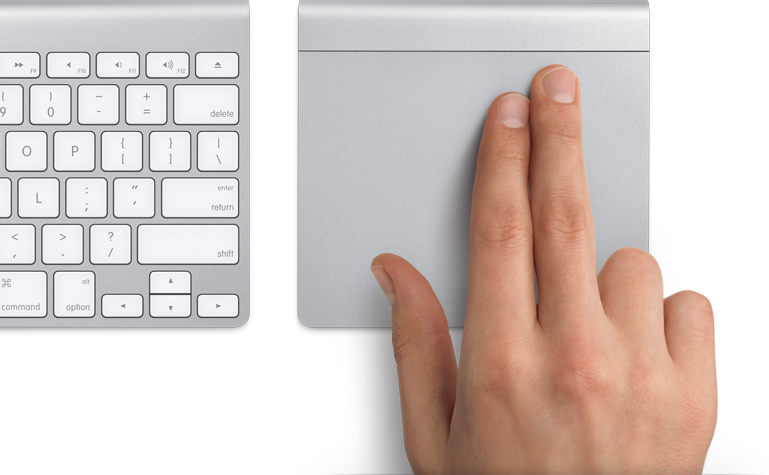 This implied that I used an external keyboard and mouse, but every time I moved my hand to the right to use the mouse, my brain wished there was a trackpad there. I imagine that if you have to do design work, the precision of the mouse is still unbeatable, but for me, this the first Apple mouse I’m going to buy. Apple also announced updated iMacs, Mac Pro and Cinema Display, but since I’m not getting any of those, no big deal.